From the beginning of September until the end of April, everybody in the local Croatian community knows that Wednesday night is bowling night, and has been since 1980. The Croatia Hamilton Ten-Pin Bowling League is one of the oldest and strongest leagues in all of Ontario. 12 teams and a total of 60 bowlers take to the lanes each week at Lucky Strike Bowlerama in Stoney Creek. The league has been at capacity since its inception, while a constant waiting list remains year-in and year-out. Although all of the teams take great enjoyment in cheering each other’s strikes and spares, this is a high-calibre league. Since the early 1980s the Croatia Hamilton Bowling League has been proud to have upwards of 80% of its bowlers hit the 200 plateau regularly. Outside of the standard Wednesday nights, Croatia Hamilton currently co-hosts a 10-Pin tournament with the Windsor Croatia Sports Club. This tournament switches venues between the two cities each year and has been an annual event for over a decade. With 6-to-8 teams participating on average, there is bowling the entire day, a trophy presentation, and an old-fashioned Croatian dinner to conclude the event. 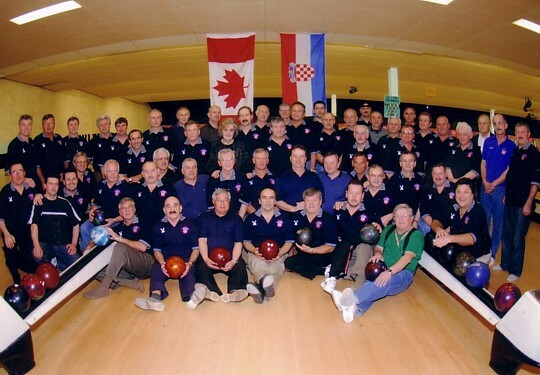 Also, for more than 20 years, members of our league have been making the trip to the Croatian Fraternal Union Bowling Championships held at various locations across North America. Our men have been able to win the championship on numerous occasions, and represent our community with pride.